Vacate house cleaners, Hoarding, Rubbish, Trash, Junk, Crime scene, Bio Hazard, cleaning specialists. Is household rubbish something that is annoying in your life? 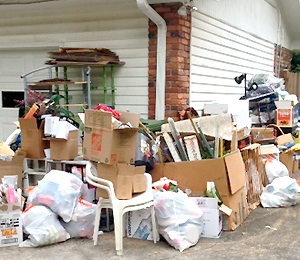 When you need rubbish or junk removal you should select a company that has a great reputation. We take great pride in being an honest company. Instead of throwing everything away we attempt to recycle as much as possible. All you have to do is show us your rubbish and junk and we will take care of the rest. Call MARK at Nationwide Rubbish Removal and explain to us what sort of rubbish you need removing. Give as much information and facts as you can so we know what we are working with and we will give you a quote over the phone. Sometimes we might need to come and see how much rubbish you have to give you a fixed quote. If you agree to the price, we will take all of your rubbish away. Nationwide Rubbish Removal will make the process as smooth as it can be. If you have any more questions, just call us.